This is a question I get asked in my clinic all the time. The majority of women I see post baby want to run. I get it! I love running. Running is seen as a sure way to lose weight, it is the easiest type of exercise to ‘fit in ‘around your new baby and it is an enjoyable popular way to exercise that makes you feel like you again. However pregnancy places untold demands on your body and weakens your core (made up of your diaphragm, pelvic floor, multifidus (deep low back muscles) and your transversus abdominals (deep tummy muscles)). These muscles need to be strong and working together to withstand the forces put through your body when you run. • If you experience pelvic or lower back pain during or after exercise. • If you feel unstable in the core or like you’re ‘falling-out at the front’ when you perform any exercise. • If your body shakes or trembles during any move or hold. • If there is bulging, straining, protrusion or doming anywhere on or from within your abdomen or pelvic floor when you work out. • Low back pain or other musculoskeletal injures. • If you have had a non-complicated vaginal delivery then the minimum time to wait is 6 weeks. • If you had a complicated vaginal delivery (perineal tears incurred) or a c- section then you need to wait a minimum of 12 weeks. • If you have any of the signs mentioned above you should not run. • If you are breast feeding, chances are your hormone levels won’t return to their normal monthly cycle until a year or so. Your hormone levels affect the “laxity” of the pelvic floor so in general I do not advice any new mum to run for a minimum of 6 months and only then if you are symptom free and have had 2 periods. • If you are symptom free and have had at least 2 periods then I will assess your core strength, alignment and breathing and if all is well I discuss a return to run program with you. 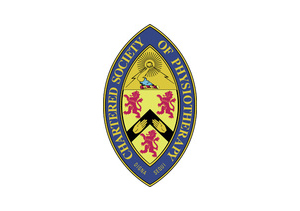 • See a women’s health physiotherapist. 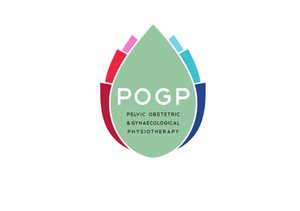 We will assess your tummy, your pelvic floor, global strength and posture. Once assessed we will put you on a guided strengthening program that builds up your core safely. • Once you are ready to run I will watch you run and see what additional things we can change / add to formulate a structured training program that will maintain your strength and keep you running in the long term. • Maintain a core strength program for life to prevent any women’s health related problems. • These rules apply to not just the novice runners but the well-seasoned runner. Listen to how Jen Saint Jean (No1 US 1500m runner) ran with a diastasis recti without core strengthening. She adopted a core strengthening program and not only did she lose her ‘mummy tummy’ but her times also improved. You only have one body and you need to protect it. Rehabilitation after baby is so important and essential to every woman even if you do not wish to run. Please do contact me for further information on postnatal recovery, The Mummy MOT and return to running or call The Halos Clinic on 01883 713434 . I also run the Oxted Ladies Run Club in oxted so once you have returned to running I will support you on your return to running if you wish to join the club.